1) Not everyone is going to like you or your work- This was such an important lesson for me. The story I submitted the third time was a story incredibly close to my heart. It was described as not being “compelling enough”. Now while that may be true, I liked that story. That story was my baby and nothing would change that. 2) Always give in your best work- Admittedly, I never did much editing on those stories. I’ve never gotten the importance of editing until three rejections in because now I know that yes I can make my characters and story more compelling. (Just not while college is still on). Whatever it is that you do make sure that you know that you’re giving your 101%. 3) All you need is one yes so keep trying- Whether it’s a job or your driving license, lots of things in life simply require a yes from one person. You may get rejected once or a hundred times but it is the one yes that will change your life. 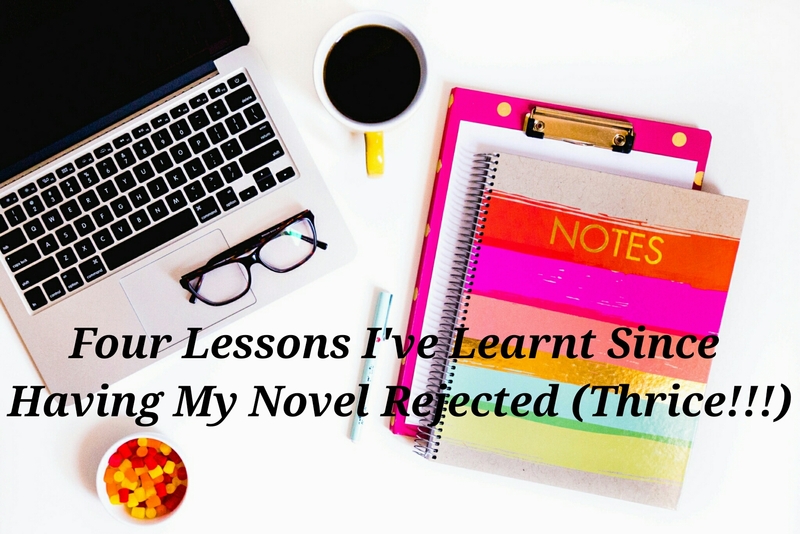 4) Never let failure get you down- I was fourteen when I got my first rejection letter. Looking back I wonder why I was so stupid to send in my manuscript but I’m also pretty impressed at how brave I was. Yes, I know now it was not my best work but maybe it was my best work at the time? After being rejected for my first novel, I went on to intern at my favourite magazine just over two months later before having an article published in that magazine. Yay me! Never ever let rejection get you down because you have no idea what life may hold in store for you. What lessons did you learn from being rejected? I’d love to know below.